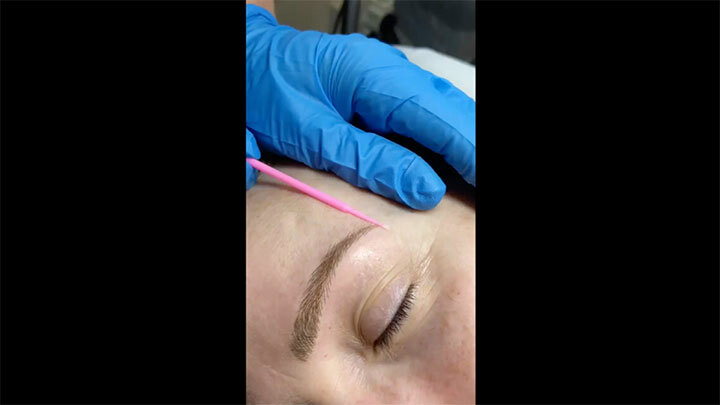 I recommend this Phibrows microblading technique to everyone who wants to restore their eyebrows to their best possible and natural form. For anyone who pencils in their eyebrows every day, who spends a fortune on eyebrow makeup or is fed up of waking up in the morning with an eyebrow-free face, it is life-changing. PhiBrows by Grace - I trained with PhiBrows Academy, founded by Branko Babic, a course that is so thorough, completing 11 different levels on practice skin before working on models. PhiBrows use the very best pigments and are very innovative in research to be able to give the best results. Advances in technique has made the entire permanent makeup industry more appealing. More people than ever are seeking a stronger brow – and this is the most natural way of getting it. Eyebrows are so important – they frame the face, and microblading gives the most natural effect yet. Eyebrows can give people a lot of confidence, and microblading addresses many issues such as over plucking, fine brows, hair loss due to chemo, alopecia and trichotillomania. Measuring accurately the PhiBrows way, marks out each point of the brow from the beginning to the arch to the tail using a compass created by Branko Babic with the golden mean ratio. Even when there are few hairs to start with the effect can be very natural. Sometimes the client wants something a little unrealistic, so it is important to show them what looks flattering for their face and bone structure.